With automatic duplex printing and a rich range of document functions, Lexmark's X646dte MFP offers the big benefits of a copier, but without the big size and price. The X646dte is equipped with Lexmark’s new Embedded Solutions framework, offering you native support for Lexmark’s wide range of enterprise solutions, and optional firmware cards. Besides lightning-fast 48 ppm print speeds, the X646dte offers two 500-sheet input drawers to load diverse media, or simply run longer without reloading. 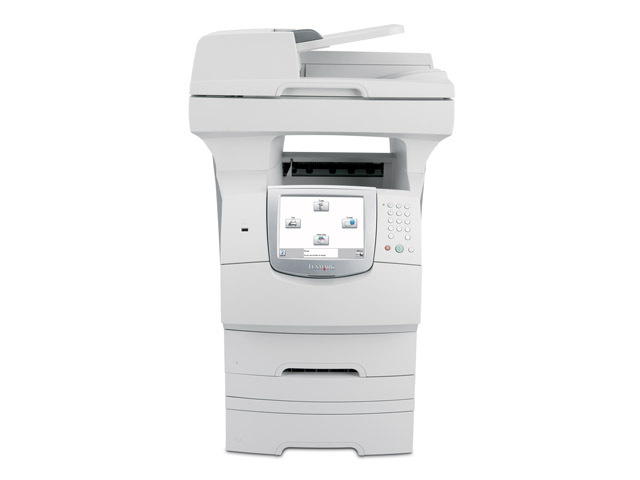 Users also benefit from an integrated USB port for easy, PC-free printing. Heavy print runs don't have to mean heavy costs. 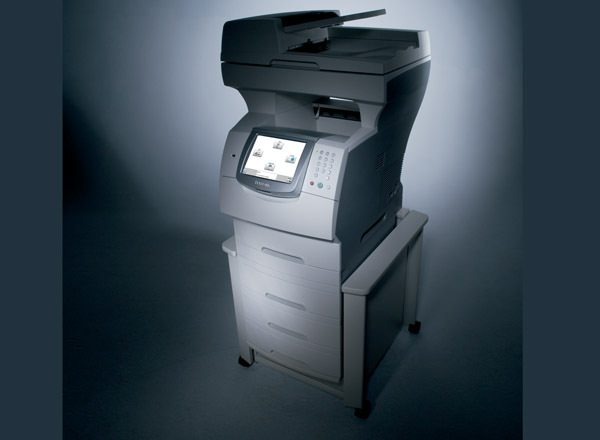 The X646dte is armed with standard automatic duplex printing. So you not only save paper, time and money – but you also help save the environment! Though it’s smaller and much more affordable than a photocopier, the X646dte offers all the same features, including a 50-page document feeder and a large flatbed scanner, ideal for copying open books and large reports. The incredibly large, customisable LCD touch-screen is easy to use, providing fast access to a wide range of workflow functions, such as print, copy, fax, email, scan, scan preview and many others.